Whether we enrich or impoverish, we who write, we authors, we men of letters, we scribblers, are being supported, protected, maintained, enriched and endowed by a vast horde of unknown individuals–the men and women who watch and pray that we reveal the truth which is in us. I created the textile self-portrait (above) a while ago when I was having a hard time with my family’s separation. The impulse, once we’re well again, is to forget our melancholy and its prolific creation. There’s beauty in falling apart, in dissipating (in feeling like you’re becoming a ghost or becoming forgotten–one and the same thing). I write myself through the darkness, to make it immortal, to honor it, to speak with it, back and forth; a thread stitching my soul to my body. In Dante’s Inferno (Canto XXXIII), he visits a freezing place filled with souls whose bodies are still alive on earth. This is what it’s like to be depressed, I think; feeling that one’s soul is missing. 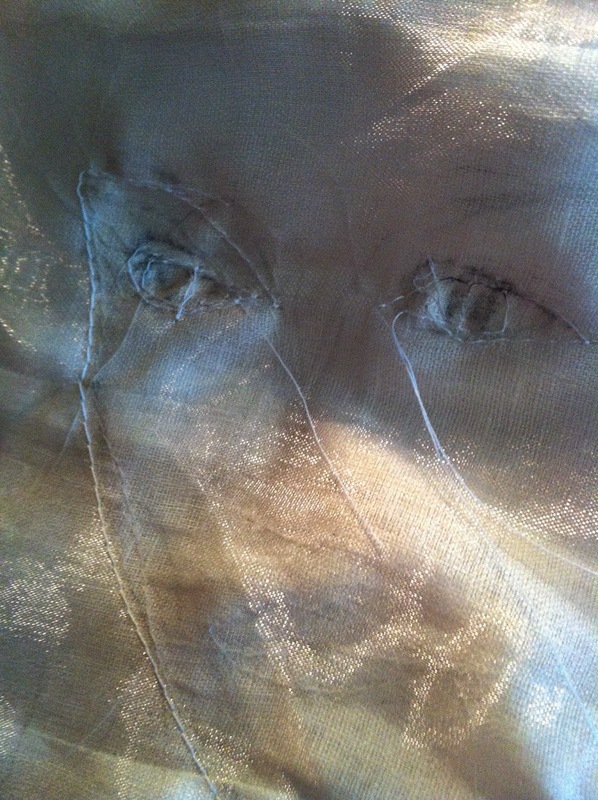 The tears (in my textile portrait) are the only threads left unstitched; they can come and go. The eyes are stitched open, though, and the gaze is long, trained on the future. My friend Louise told me yesterday that the word “ecstatic” literally means to stand beside oneself (Greek ekstasis; ex = out and histanai = to cause to stand). To leave your body. I guess it’s true, to be so in the moment that you become un-self-conscious, unaware of yourself, holding your soul like a balloon and rising with it. That’s the important distinction; being outside of one’s self is exciting; but losing yourself altogether is not. There must always be a thread holding us to ourselves. 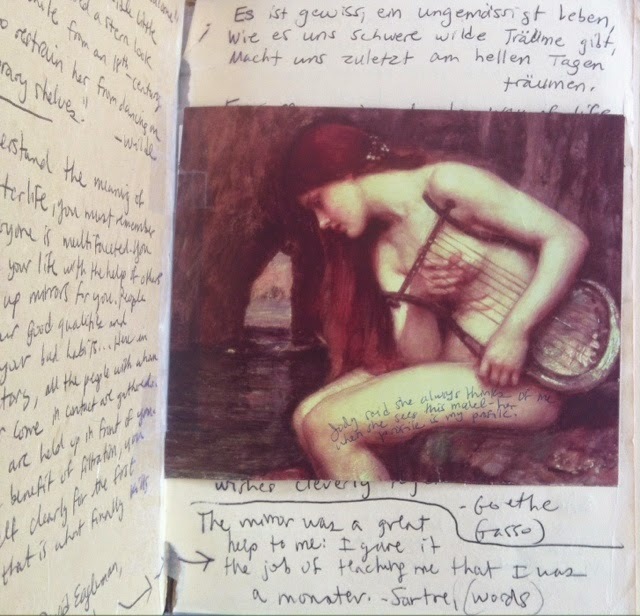 That’s why I write; to darn myself to myself. Scribblings and stitchings.